made cutbacks all year, shouldn’t we be entitled to a bit of a break, even if it is on a budget? your holiday and chase the sun. I often find that I prefer off season travel as the crowds are practically nonexistent. overnight stay. But remember that it's a trade off. Location is often times the most important component when booking accommodation so be sure, especially if on a short trip, that the sacrifice is worth the savings. use, can save you a fortune on your weekly eating and drinking expenses. extras, reserved only for their most favored patrons. accommodation, and job boards advertising work on sheep farms or crop picking, are everywhere. Wages are enough for your food and board, with a little left over for a beer. improve the lot of some of the world’s most deprived children. 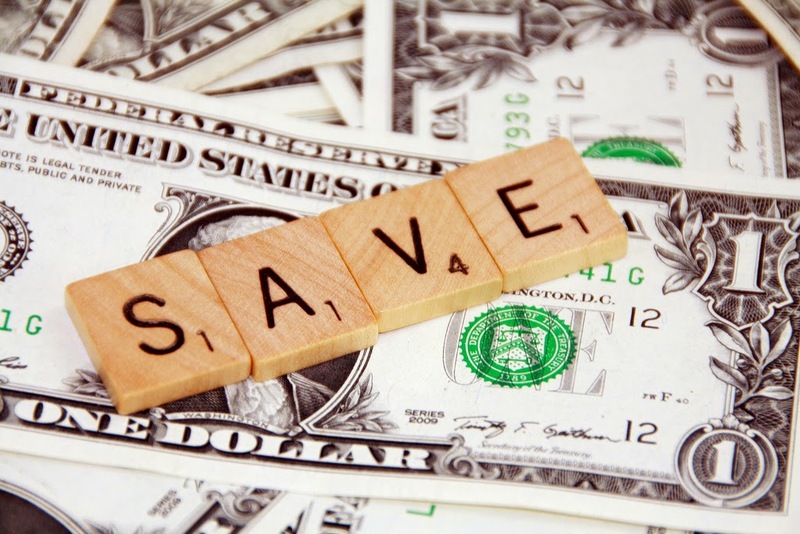 Tell us about your money saving tips in the comments below! I love low season travel in SE Asia Mary. We save boatloads by hitting Thailand and Bali during wet season. Says monsoon season but it's nothing of the sort, with days usually being sunny and then, a chance storm or 2 pops up, usually at night. As for prices the spot we rent in Phuket triples in price from low to high season. So, we visit during low season, for a cooler vacay, 1/10 of the crowds and about 20 other benefits. No brainer, all the way around, unless you've 3 or 4 days and need sun. We have 3 or 4 months, or years LOL....time is no object so we get to see the full range of weather in some of these spots. Same thing in Costa Rica. Rainy season really isn't that bad at all but you save loads, the landscape is more green, and there are far fewer tourists. A total win win! But yes traveling long term makes it easier than having just a week and really wanting the best possible weather. Great post. You capture South East Asia so well. I was in Cambodia 5 years ago and have spent a lot of time in Thailand (Currently in Chiang Mai); the "organized chaos" that you speak of is one of the things I appreciate about South East Asia. Cheers and happy travels! ......"we're accustomed to having any sense of danger or adventure scrubbed from society as if to make life easier. But, ultimately, few people feel less stressed in our sanitized culture as a result. Indeed, suburban life can be extremely complicated, challenging and even threatening despite the authorities' best efforts to regulate our "safety"." Other words that stood out: "no rigid rules," "liberty," "unregulated," your twelve year old being able to rent a bike so easily, etc., left me longing for that chaotic simplicity. I would love for my family to experience this someday! I think I'd go absolutely nuts at Hersheys World. There's something about the American Hersheys that is so different from that which you get everywhere else. The taste just isn't right if it isn't American according to me! The title of the post pretty much sums of what South East Asia is all about. Kudos! Fried bats, snakes, bugs and baby chicks...hmmm not thank you. I have been to the one in Philly. Love candy stores. Thanks for this list. I'm a big sweets lover so I will keep this in mind. How wonderful, I've only heard of one of these and the rest must put on my places to discover if I'm in the area. Loved the history and story to each place. I just bookmarked this one for when I make it back to the states. I travel by bicycle and any energy boost is appreciated! Thanks for sharing. Nice list. Is Sugarpova already in the US? This is great! Glad I found this article. How does one go about "un-schooling"? What about the State? As a "homeschooler", I'm assuming the ticket out of public school and trouble, how does one keep the State off their back and out of their life? Don't you need to show progress or still test even when home schooling? Even though I don't have much of a sweet tooth, I like to buy sometimes sweets for their cute/creative packaging. The M&M's are my favorites. Last month, while visiting the Dubai Mall, I had to stop by the Hershey's Candystore. This kind of stores we don't have in Europe so I kinda like to take a look at the sweets. I would definetely visit the Sweet!Hollywood candy store, specially if I can taste the sweets beforehand. Great post and great blog! What a thoughtful post. This really resonated with me: despite poverty "each and every person we've encountered during our 10-month journey here has offered us beaming smiles and gracious assistance. Something that appears increasingly lacking in the Western world." Something worth contemplating as we go about our crowded world, usually in a hurry. Thank you. A friendly local guide gives you a far better insight to the place you are travelling. Great story! They all look so delicious but do you have a favourite one? I do agree with everyone here that this is a truly touching story. I love it when people come through and show you that the work isn't that bad and that there are some kind hearted people out there! What a beautiful story! And this is why we travel. To have wonderful experiences like this. Love this! Okay, I love this blog post but I have a love & hate feelings with this chaos, which I think would be pretty common among anyone who's from the region and has spent a good number of years in the more developed countries. We tend to "hate" the chaos when we're part of this but we miss it (among other things) when we're away from home. But you're right, I've noticed that the worries and all that, most locals seem to be more contented with their life when compared to those who're from developed countries. Btw, I didn't know you can take a speed boat from Gulf of Thailand to Perhentian? Have only been to Hershey's in Dubai, which reminds me of another candy store there that is called Candylicious. It's the largest candy store in the world and I thought it's from the States so was surprised when I didn't see it in the list above. Was even more surprised when I found out that the origin of Candylicious is closer to home - Singapore. Oh I don't know but it sounds like a great spot. I love that name! Thanks! Unfortunately I have a very big sweet tooth. The one in Salem is the coolest I think, plus it's just a really fun town. Get there if you ever have a chance. Its not too far from Boston. Yes but luckily the cost will keep you in check. Crazy how much they can charge! The one in Salem is my favorite but probably just because I've been there the most and adore the town of Salem. When you go around Halloween the weather is perfect, leaves are changing,all the witch stuff is out, and did I mention the pumpkin fudge?? To die for! If you want it bad enough you can make it happen. I've also realized that you don't need to travel the world to attain these perspectives for your kids. Research other countries at the library, watch documentaries, discuss ways to change your living situation so that you can gain a more profound understanding. Travel helps a lot but its not the only way:) Good luck! Thanks for the comment! Agree, it is a beautiful chaos in my opinion! We all do, especially the little guy. Asia was such an amazing experience for all of us. Crazy that it wasn't even on my radar a few years ago. Yeah we pretty much declined all of them but they did make for some great pictures. He was a really amazing guy! So much perspective was gained for all of us through our conversations with him. No doubt, such a clearer insight to the area. Yes, the thing we learned through travel that sticks with us most is that nearly everyone is a kind hearted person just trying to live a good life. The evil gets the biggest spotlight but that is only because of how rare it is! Exactly, it changes your whole perspective! Thanks, yes we have definitely slowed down a lot. We learned so much through our 2 years in Asia. Yes I can see that too. The chaos gets a bit much at times but in general we loved it and it is definitely something we miss. As for the gulf of Thailand I suppose it depends on where exactly that gulf starts and stops:) "The Perhentians comprise of 2 main islands and a few rocky islets located in the Gulf of Thailand off Malaysia’s North East coast in Terengganu State." I'm so glad the post was reassuring. I have never failed to find turtles in Hawaii. They are just everywhere! This is why we travel! Nice post! Your dental is best many facilities provide first visited Posh Dental long island invisalign with a painful emergency. I was visible straight away by Dr and her first-rate workforce. I couldn't have been extra thrilled! i have been a ordinary purchaser ever considering. No more fear or pain! I particularly recommend this fine practice.